Time travel is always interesting, and the idea of different timelines, which WoD seem to be, has been around. For every action you take, another timeline is created where you took another action. So, the number of timelines is infinite. The big question is always, if you go back in time, and have the chance to kill Hitler, would you? 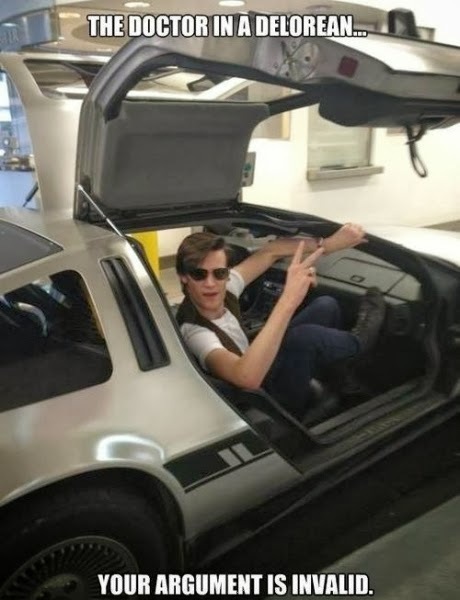 And people use that as an argument that time travel does not exists... well, with time-lines, you can only say, not in this timeline, but in the other. And because there are infinite time-lines, Hitler has been killed an infinite times... aaargh...maths. Now luckily we have some nice stories about timelines. The whole of the Marvel Comics happens on Earth615. or 515..it has a number at least, especially pointing towards timelines. 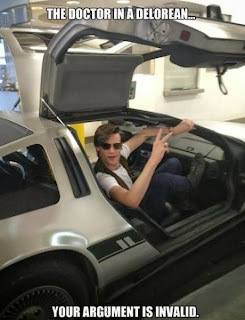 We also have Back to the Future and Doctor Who of course. But both those shows are more linear, where an action in the past, has an effect on the future. And then we have Star Trek, with the original Kirk at least having 47 time-incursions. But their Mirror Universe and their Reboot-Trek actually are different Timelines. Somewhere in the past, someone made a different decision, and another timeline happened. Heck, in the Trek-reboot, someone from the know timeline, actually goes back in time, and is responsible for the new timeline, Garrosh=Nemo (not the fish). So, in Warlords of Draenor, Garrosh escapes to the past. In my mind wandering yesterday I was speculating if Malchezaar had something to do with that, because he does drop that axe. (After that the little phasing-news of Kara came thru (I have witnesses :p)). So, tinfoil hat; Malchezaar throws Garrosh in the past, and a few days later the Portal goes red. Garrosh of course, has several years on Draenor then. We jump in the portal, and go fight this new 'Iron Horde'. This all has no effect on our 'Prime' timeline's past. But now the real headache starts.... what of the other timelines Azeroth? Because Illidan couldn't run to Outlands he may still be alive? Heck, the Alliance may not even exist, because there are no orcs on that Azeroth? So many possibilities, let's steal The Exodar and find out? Does it even exist, or is it completely overrun by undead and Deathwing, because there was no Horde to battle them? And also interesting is the end.... yes that may be very early.... but we will of course take down the bad guys, but then. Go back to our own Timeline? And what about the other timeline? It's never a good idea to have a constant link between to timelines... bad stuff multiplies with that, literally..
You know, I'll just stick to the line below..and think: Time will tell.